Transform your unused space into something spectacular! 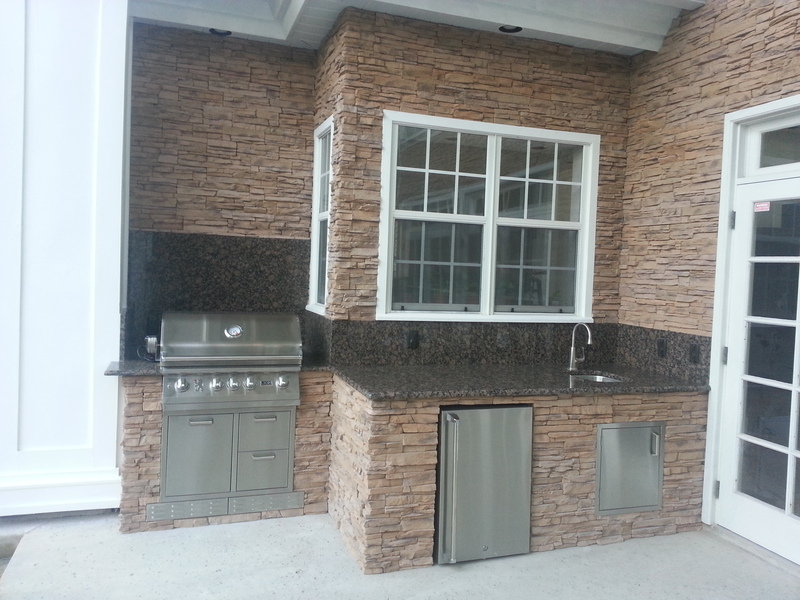 “Thank you Outdoor Kitchen Creations for an amazing job. Amy & I could not be any happier with the outcome of our project. Bill and his team truly “knocked it out of the park”. 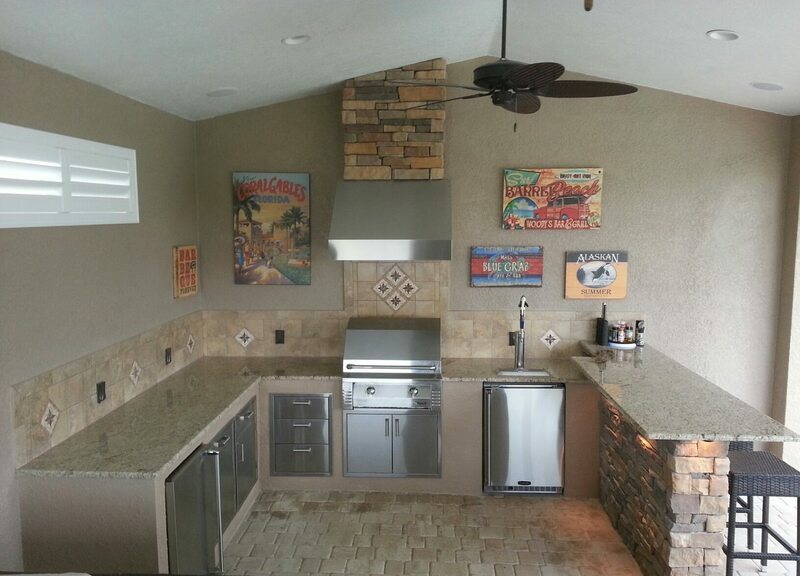 More than an island, an OKC outdoor kitchen is a permanent, seamless extension of your home that is built to last a lifetime! Constructed from a patented poured in place concrete design, our outdoor kitchens are a permanent seamless extension of your home. An outdoor kitchen is not a small investment. Why spend thousands on a product that will not be a part of your home for as long as you own it? Our concrete cabinets come with a Lifetime Structural Warranty. They will not deteriorate over time or become susceptible to termites, humidity, or any other elements of the Florida environment. From top of the line equipment, custom tile, rock fascia, to granite, we strive to exceed our customer’s greatest expectations. But it’s our final product that truly speaks for itself. Some people may not realize the immense amount of planning and design that goes into an outdoor kitchen. 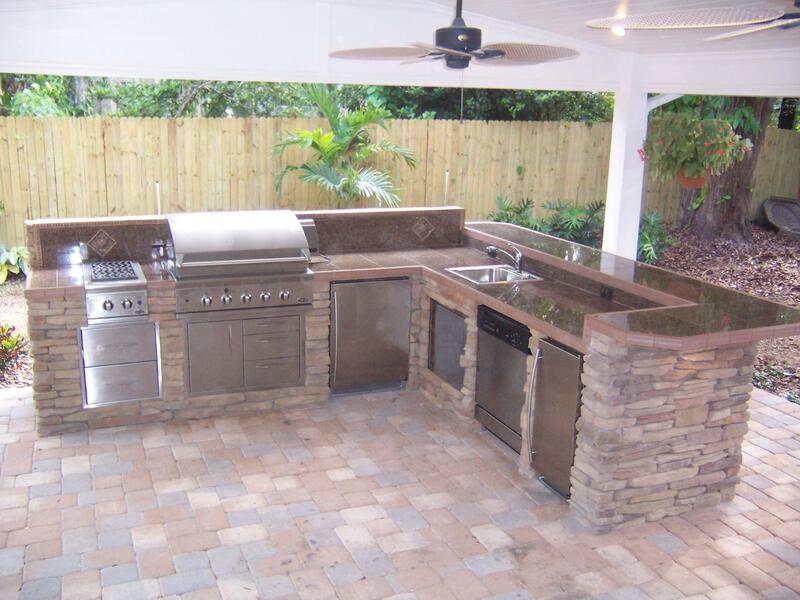 There is an extreme amount of intricate details, measurements, and other factors that go into the successful construction of an outdoor kitchen. OKC’s experience and passion ensure that, in the end, the function and beauty form a perfect balance in your new space. Owner Bill Morris is a Licensed General Contractor and has been in the construction industry for over 35 years. 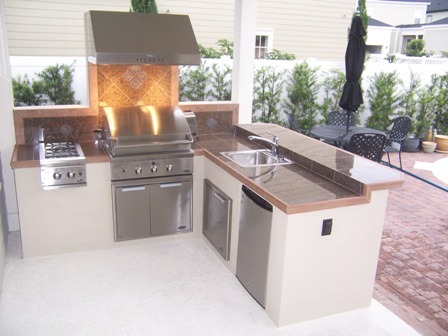 Outdoor Kitchen Creations craftsmanship, credibility, attention to detail, and old school customer service are second to none! 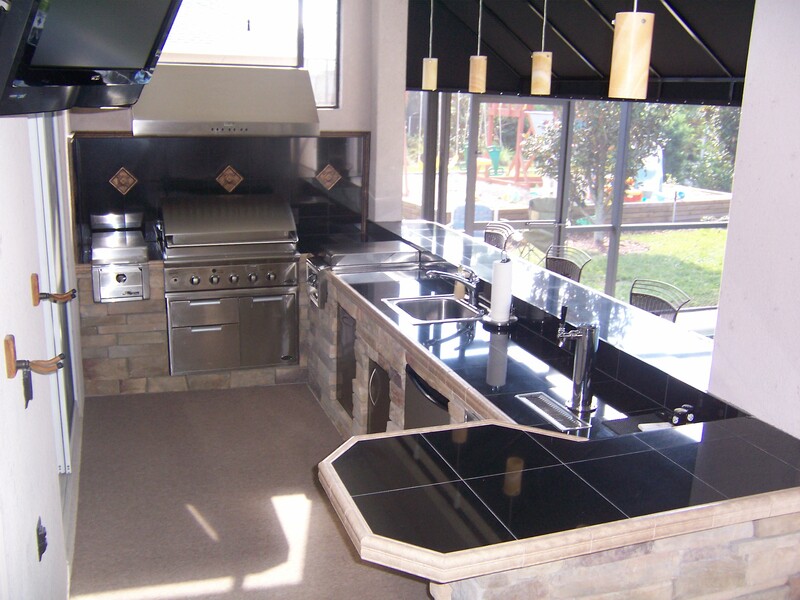 At Outdoor Kitchen Creations we know how important customer service is to long term success and that our greatest asset is a satisfied customer. Word of mouth and referrals are absolutely our greatest marketing tool.